India is one of the emerging markets in the four wheeler segment, which is attracting the global car manufacturers. However, the sky high fuel prices forcing the car companies to come up with fuel efficient yet high performing cars in to the markets. Recently, General Motor’s Indian wing has come up with the Chevrolet Sail hatchback to India, which seems to have very good features and specifications. Moreover, it is placed in a very affordable price range that helps the budget buyers to own it. Newly launched Chevrolet Sail price starts at just Rs. 4.44 lakh, which is very competitive for a car with huge inner space and powerful engine. There is another car from Maruti cars called Maruti Swift that fall in the segment of Sail hatchback. At present, these are the two vehicles that you need to take a look because they come with similar features, specifications and pricing. Let us compare both these cars in order to make out the best one. As far as styling is concerned, both the cars have unique styling signal that catches the eyes in the first impression. Although they are hatchbacks with sub 4 meter length, they offer huge inner space that can provide comfortable seating for about 5 members. When it comes to engine comparison, the Chevrolet Sail comes with two engine options or fuel options diesel and petrol. The diesel variant is powered by 4-cylinder, 1.3 liter engine with 1248cc displacement capacity where as petrol variant comes with 4-cylinder, 1.2 liter engine with a displacement of around 1199cc capacity. Even Maruti Swift comes with 1.3 liter diesel engine and 1.2 liter petrol engine that allows customers to choose according to their requirements and according to budget. Both the Sail hatchback and Swift comes with front wheel drive option and they are mated with 5 speed manual transmission gearbox. It is truly difficult to make out the best one by just comparing the engine specifications as both the cars generates identical Horse power, Torque power and delivers identical performances along with identical mileage. 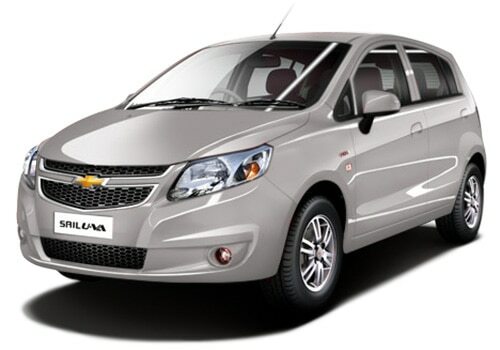 At present, newly launched Sail hatchback is considered being the most fuel efficient of all Chevrolet cars in India and they also meets the Bharat IV emission standards, which is impressive. When we make a close comparison, we will be able to find that Sail has a lot of boot space of about 243 liter compared to Swift’s 232 liters. One of the most important things about Sail is that it comfortable driving experience by offering wide viewing angles better than Swift. Moreover, it is a new car in the market and the Maruti Swift Price is little higher than Chevrolet Sail Hatchback.